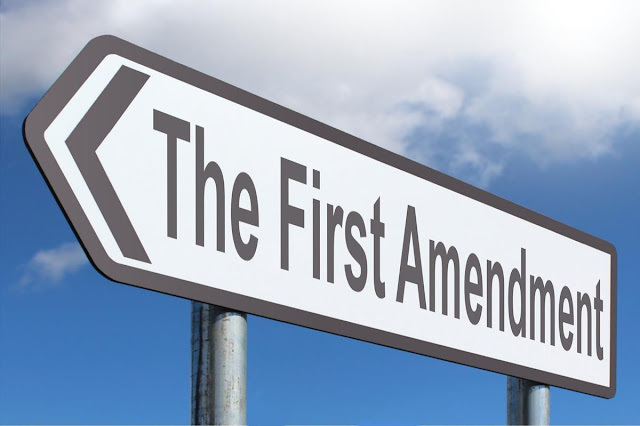 This is a quick reminder that there is a reason the first amendment to the U.S. Constitution guarantees the right to have the freedom to share information. The free exchange of ideas has brought about so many important changes to society. Ideas lead to action and good ideas tend to spread in a viral fashion, creating new realities. The founders of these United States recognized the fact that without the right to speak freely, share information, gather as a group of concerned citizens, and address the government our nation would not remain free for long. Those who fear change, and are afraid of new and different ideas that challenge the status quo, will often attempt to silence new voices of dissent. The news media is not the enemy of the people, ignorance and intolerance are. We as individuals all hold a responsibility to guard our rights with knowledge and care. Our government is for and by the people. We all have an obligation to ourselves and each other to protect the freedoms provided to us in this great experiment. Exercise your rights, get involved, and vote in every election. Objection from Many US Media against their "Leader" look enviable movement. and,Government's vindicater who justify even Anti-LGBT politicians become anchor of noon time weekday news show.